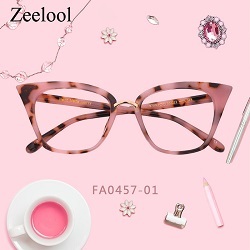 Birthdays parties will always be the best opportunity to celebrate without boundaries – with all the cheerful decoration and comforting food that makes a party happy. What differs a birthday cake from any other cake? For me, it’s all about the decorations, and the richness of tastes. 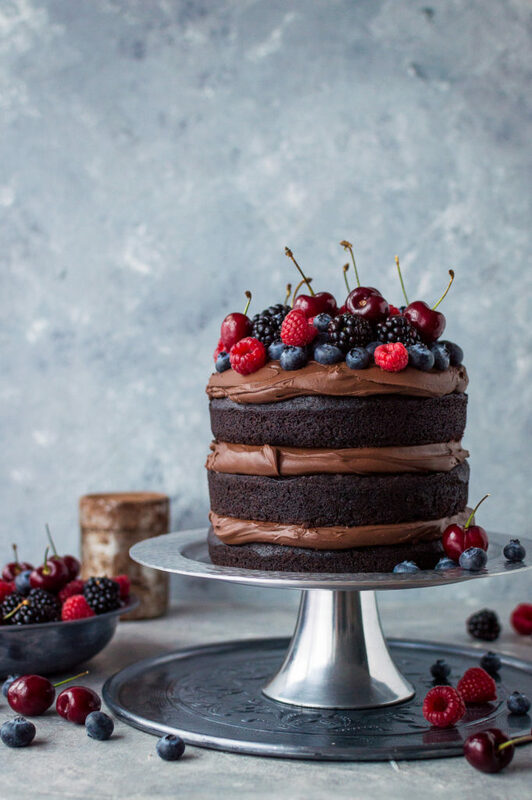 These vegan birthday cakes were chosen for this article for being festive, cheerful and super rich and tasty, without containing dairy products, nor eggs. 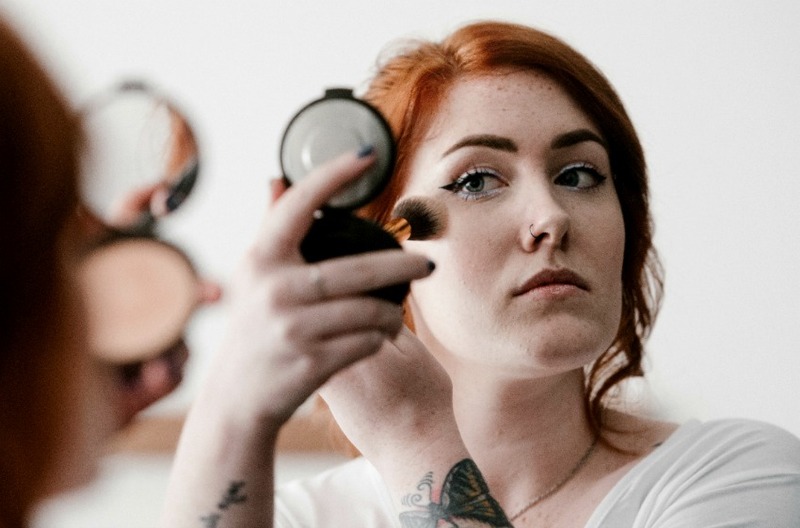 If you’re vegan or allergic but it’s your party – you could find the one for you! A birthday party should be festive, and fun so this cake is everything you dreamt of and would be a delight for any age! 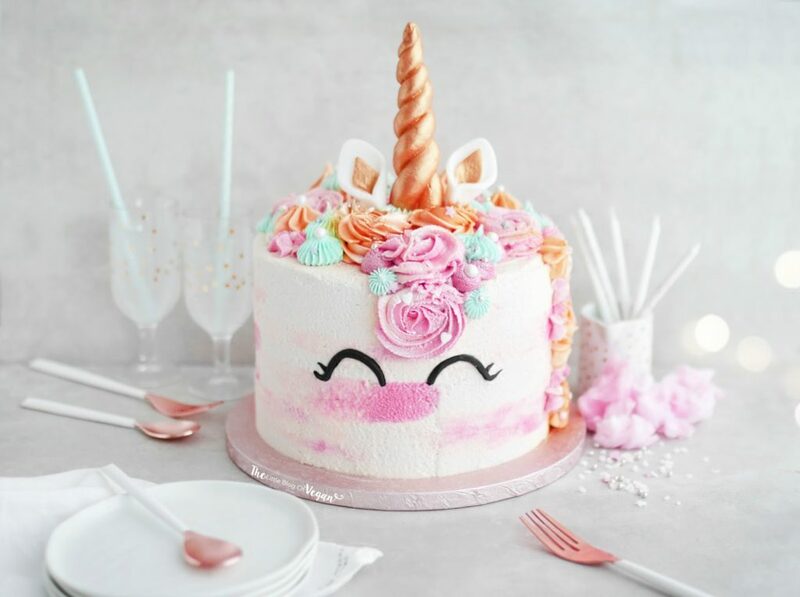 And it’s not just Instagram worthy -this vegan birthday cakes is layered with rich chocolate cake, homemade caramel sauce, vanilla buttercream, and colorful decoration – not forgetting a stunning gold unicorn horn and ears! 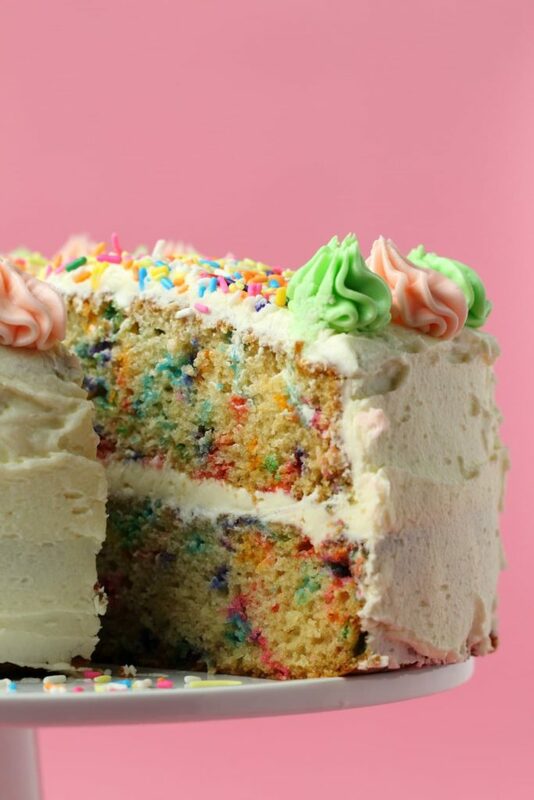 There is nothing more fun and festive than the funfetti cake – It’s bright, beautiful and ho so tasty! 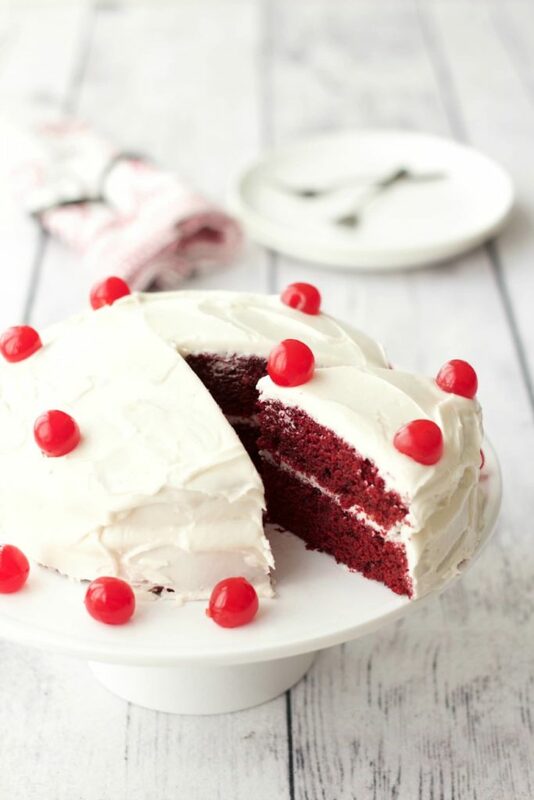 Don’t give it up – celebrate birthdays with this great recipe here. 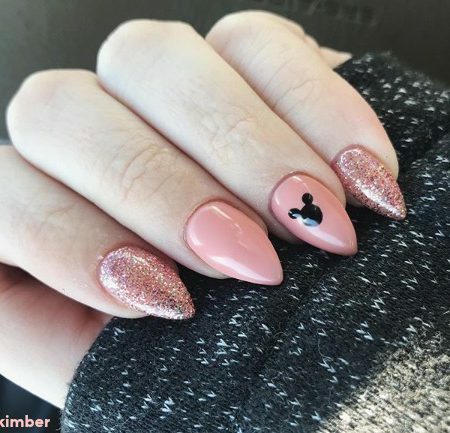 We love pink cakes! 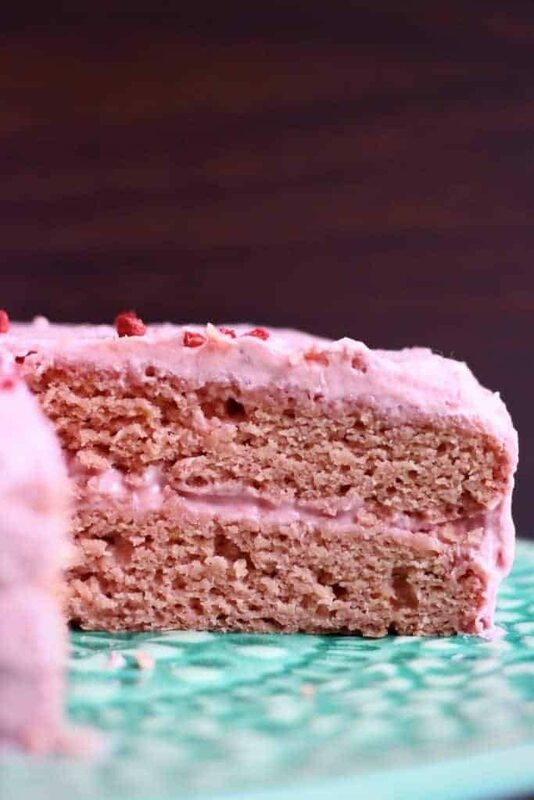 This recipe of fresh and fruity gluten-free vegan strawberry cake is absolutely wonderful, not just because it looks amazing, but also, because it is naturally colored (unbelievable!). I’m a chocolate cake kind of person, but when it comes to birthday cakes and parties, I prefer a vanilla white cake. 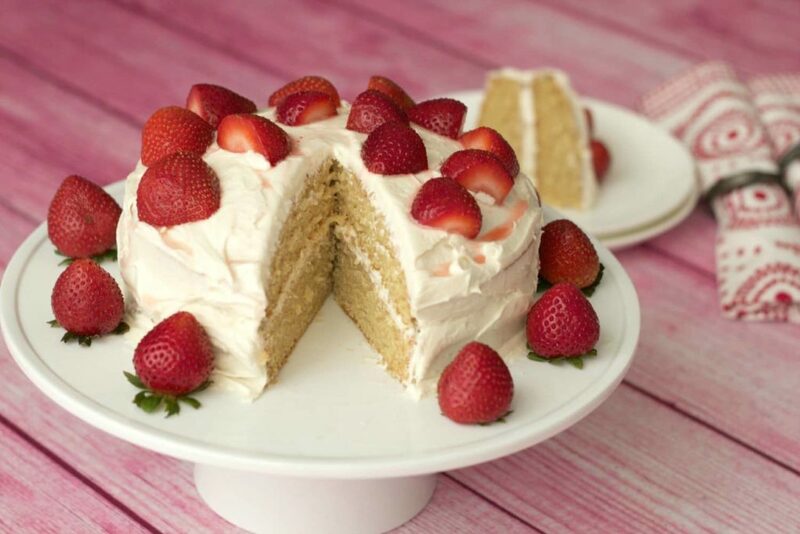 This vegan vanilla cake is light fluffy and dreamy, and the best part – it’s super easy! 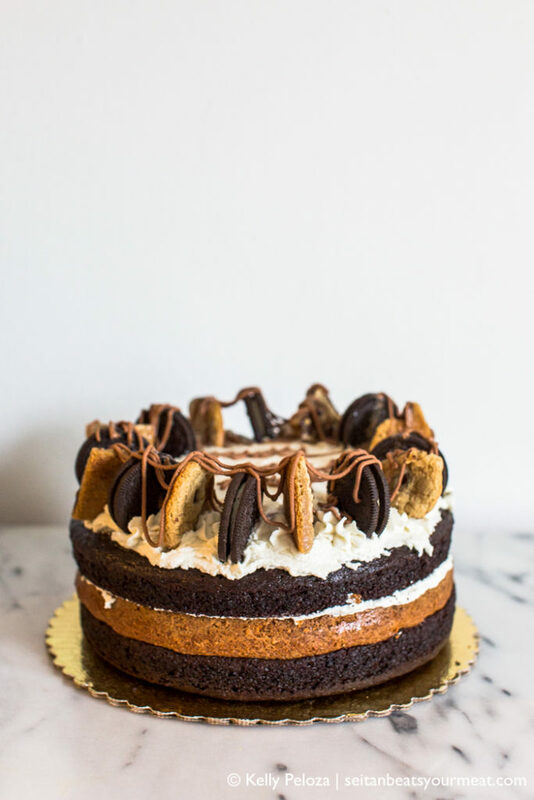 If you haven’t lost your breath just by looking at the photo – this vegan Layer Bourbon Caramel Chocolate Chip Cookie Cake is all you need when you want to knock off your chocolate addicted friends (like me). 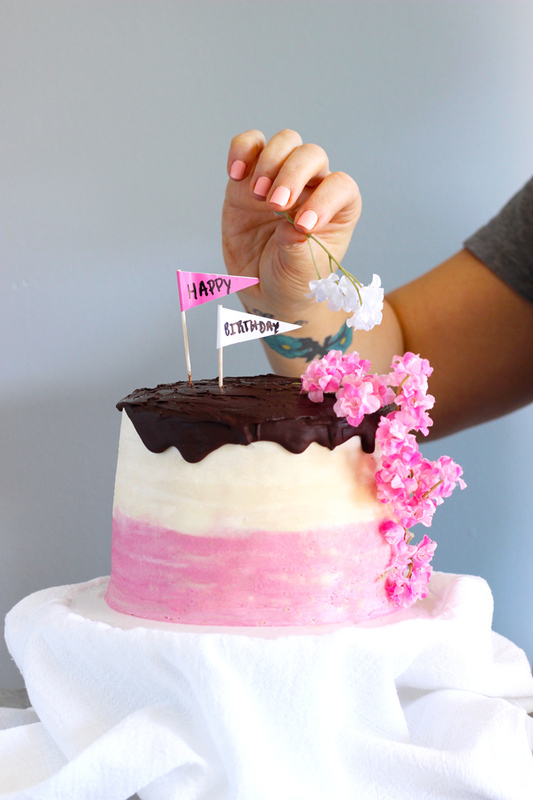 Don’t let the pink ombre get you confused – the cake and filling are chocolate. 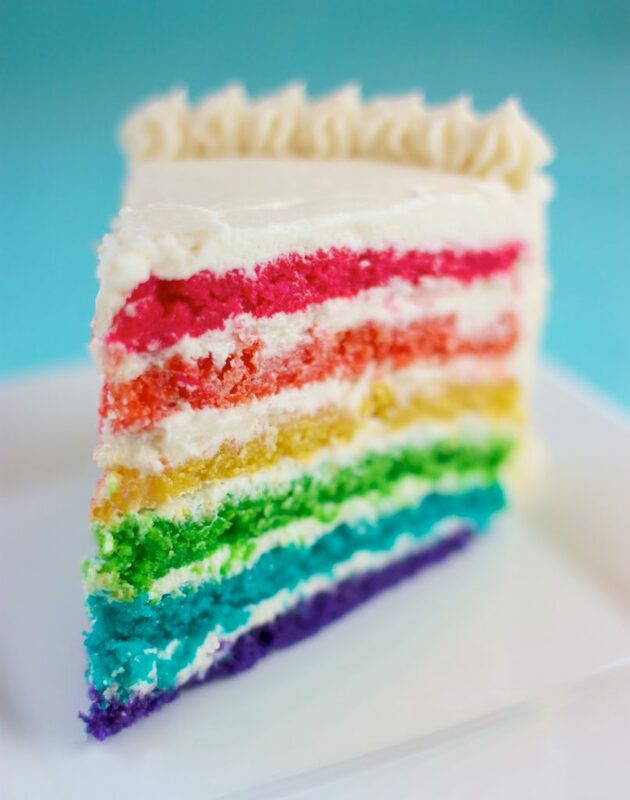 Well, This cake is a work of art! Where are you, chocolate lovers? 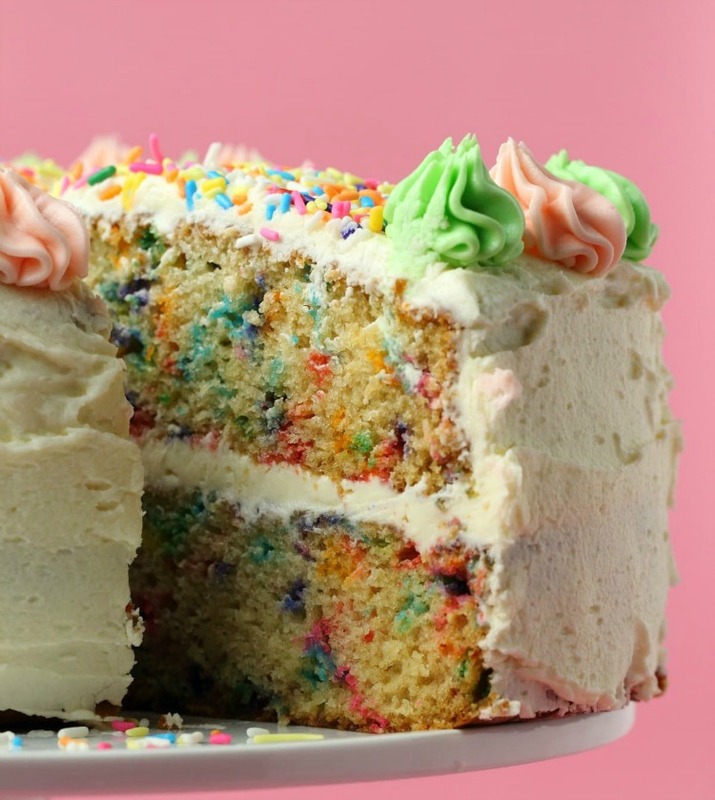 This unbelievably beautiful cake is for you. It’s easy to make, moist, fudgy vegan chocolate cake topped with coconut milk ganache – simply whisk together the wet ingredients, sift together the dry, then mix the two together and bake. Btw, here is another great recipe for vegan chocolate cupcakes, with easy instructions. Lots of color, layers, and of course – ice cream! 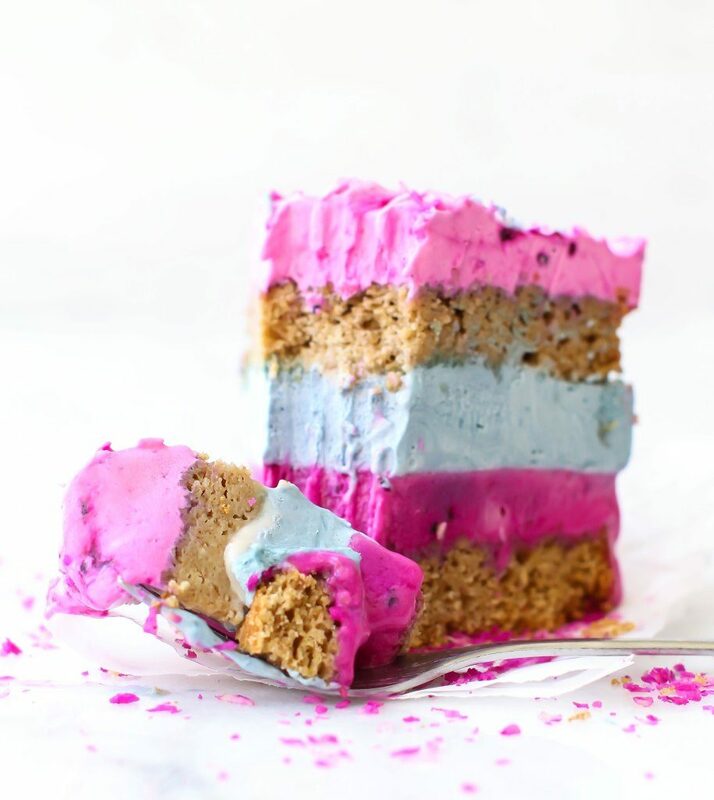 So, if your birthday is celebrated on a hot day, your guest will be so happy to eat this cold, creamy, Instagram worthy, and colorful vegan ice cream cake. This southern beautiful cake is my favorite choice for every birthday. 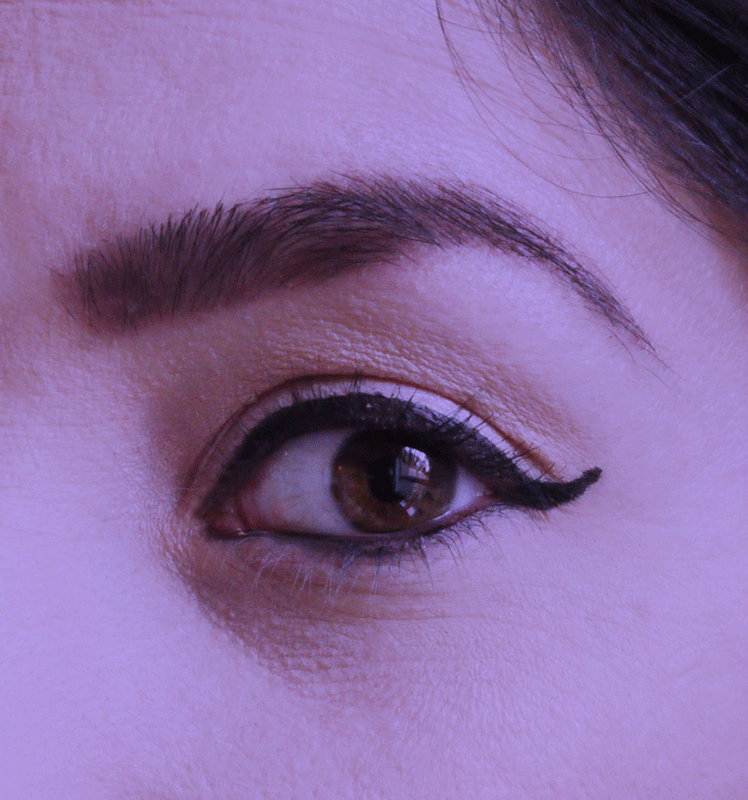 I love the surprising red color that pops out of the white – it is sooo beautiful! And besides that good looking, It’s a mix of subtle flavors: vanilla, chocolate, and buttermilk.